In thanksgiving for a life well-lived, we announce Bob’s passing on January 12, 2019 at the age of 75. He loved and was much loved by his wife Sue Pellerin. Dear brother of Deacon John Giroux (late Elaine), Nancy Giroux and Janice Thompson (Richard). Brother-in-law of Ray Pellerin (Lorraine). Special Uncle Bob to Adrieanne Beasley (Matt), Stephanie Pezzimenti (Joseph), John Giroux (Kathy), Elizabeth Giroux, Matthew Giroux (Kathleen), Diane Legros (Todd), Susan Hansen, Rich Thompson, Renée Lavigne, Michel Pellerin, Christine Pellerin and Daniel Pellerin. Great-Uncle Bob to Erin, David, Robert, Jack, Teagan, Ethan, Helen, James, Sarah, Miles, Sophia, Éric, Danielle and Sophie. For those who knew him, he will be remembered for his words of wisdom, his sense of humour and his great generosity. 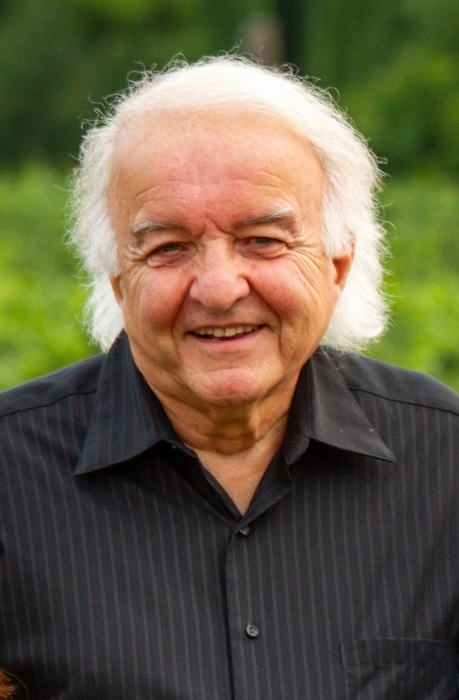 In the role he loved as a teacher with the Niagara Catholic District School Board, Bob made a difference in many students’ lives. Special thanks to Dr. Durant, Dr. Tatzel, Dr. Lam and the staff of the St. Catharines General Hospital Intensive Care Unit. In accordance with Bob's wishes, cremation has taken place. The family will receive relatives and friends at the WELLAND FUNERAL HOME 827 East Main St., Welland on Thursday, January 17 from 2-4 p.m. and 6-8 p.m. Vigil prayers to begin at 7 p.m. Funeral service will be held on Friday, January 18 at St. Alexander Roman Catholic Church, 50 Pelham Town Square, Fonthill at 11 a.m. A private inurnment will follow. In lieu of flowers, donations to St. Vincent de Paul at St. Alexander Church would be greatly appreciated.